Inflatable neck-pillow: They are especially helpful for slouch-inducing, non-reclining seats like Cathay Pacific’s new economy seats. Lip Balm: Dry air will parch your lips very quickly, you’ll be glad you brought some. Hand Cream: If you forget, no biggie – many airlines supply hand cream in aircraft bathrooms. Apply, apply, apply. Bottled Water: You’ll need to purchase it after you pass security. It’s easier than asking for water from the flight attendants every half hour. Trust me you’ll need it to keep yourself hydrated during the flight. (FYI: some airports do NOT allow you to bring bottled water with you on the aircraft even after you have passed security, because they make you go through security a second time right at the gate – i.e. Amsterdam’s Schiphol and Singapore’s Changi airports – so ask before you purchase. I learned the hard way when I had to toss a 6 Euros bottled water at Schiphol. Evian Mineral Water Spray: Generally, I never fly without their travel size version. If you’ve even flown long distances, you’ll know how dry it can get in the cabin. Sadly, I edited this item from my carry-on, but wish I had brought it. Blink Contacts Lubricating Eye Drops: are a lifesaver for contact lense wearers, especially those prone to dry eyes and those in dry environments. Snacks: Now, most budget airlines (especially on shorter flights) don’t provide meals – instead they charge you an arm and a leg for chips, drinks, and sandwiches. Bring your own. Hand Sanitizer: Airplanes usually have poor air quality, as air is recirculated throughout the cabin. 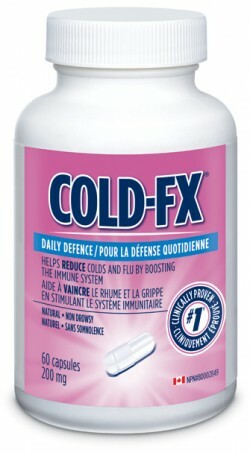 With so many people (coughing, sneezing) in a small area, your chances of catching a cold or flu are very high. Noise-Canceling Headphones: are definitely a worthwhile purchase. It can get extremely loud on flights, so wear them to make your journey a little more comfortable, and make it easier to sleep. iPhone/iPod/iPad with Headphones: Some airlines will charge money for headphones. If they are complimentary, they’re usually poor quality. You’ll be glad your brought your own. Earplugs: If you don’t own noise-canceling headphones, then earplugs are the next best thing. Loud jet engines, screaming babies, loud groups, gossiping flight attendants, etc. can all get a little trying at times, so pop in some earplugs and doze-off into slumberland. 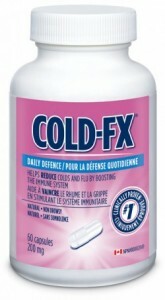 Cold FX or Airborne: Pop a couple Cold FX a few days before your flight to boost your immune system. If you forget, take Airborne with you and dissolve a packet into your water during your flight to ward off any cold or flu bugs in circulation. Here are some tips for staying comfortable during your flight. What items do you take with you on an airplane to make your trip a little easier?